Rb-Sr isochrons are presented for rocks from the Knute Group, the Håv Group and two granites, all from the Kongsberg area, south Norway. At least two metamorphic episodes at 1700 ± 100 m.y. and at 1260 ± 40 m.y. are recognized. The results are compatible with the history developed for the Bamble area to the south. The lower metamorphic grade associated with the 1260 ± 40 m.y. 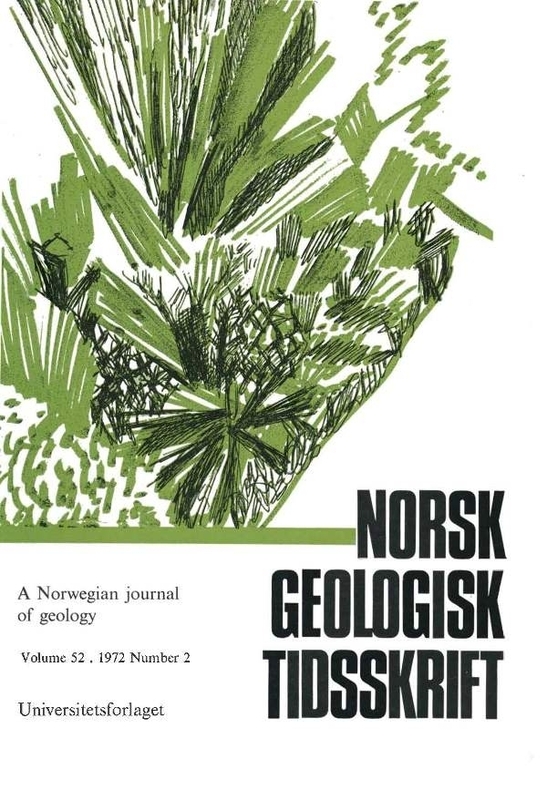 episode at Kongsberg suggests that at the present erosion surface there was an increasing thermal gradient from the Kongsberg area towards Bamble.